New Directions Publishing Corporation, 9780811215176, 112pp. Requiem's narrator has an appointment to meet someone on a quay by the Tagus at twelve. But, it turns out, not twelve noon, twelve midnight, so he has a long time to while away. As the day unfolds, he has many encounters--a young junky, a taxi driver who is not familiar with the streets, several waiters, a gypsy, a cemetery keeper, the mysterious Isabel, an accordionist, in all almost two dozen people both real and illusionary. Finally he meets The Guest, the ghost of the long dead great poet Fernando Pessoa. 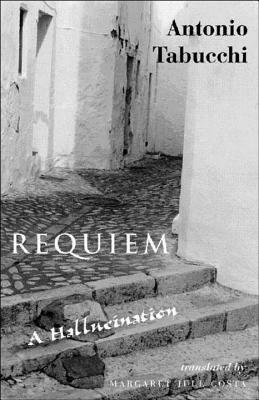 Part travelog, part autobiography, part fiction, and even a bit of a cookbook, Requiem becomes an homage to a country and its people, and a farewell to the past as the narrator lays claim to a literary forebear who, like himself, is an evasive and many-sided personality.